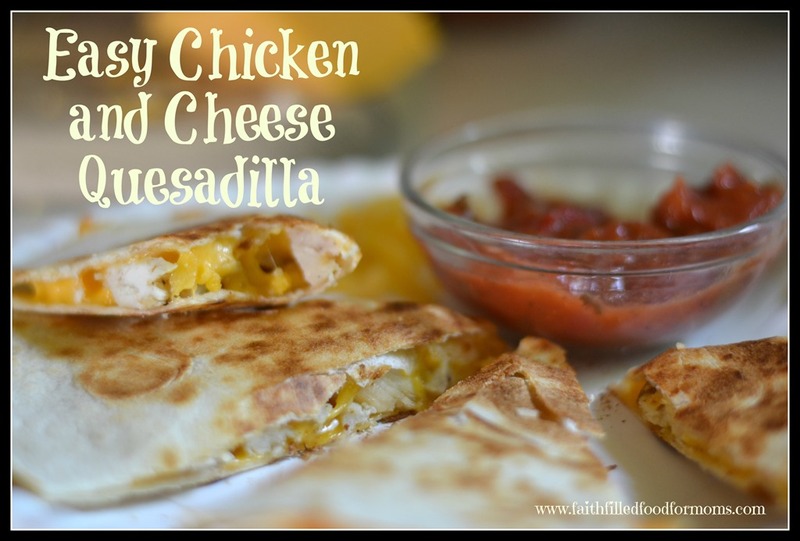 When I am really slammed for time and need a really quick healthy meal, this is one of my kids most favorites..… Easy Chicken and Cheese Quesadilla. Creating Budget Friendly Meals that are yummy and sharing them with you, is what I love to do! It really only takes me about 5-10 minutes or less to make up a few Quesadilla’s because I always have fresh or frozen chicken already chopped just for occasions like this. I also always have grated cheese on hand. It’s a must at my house..and these days it really doesn’t cost any more than the block cheese. 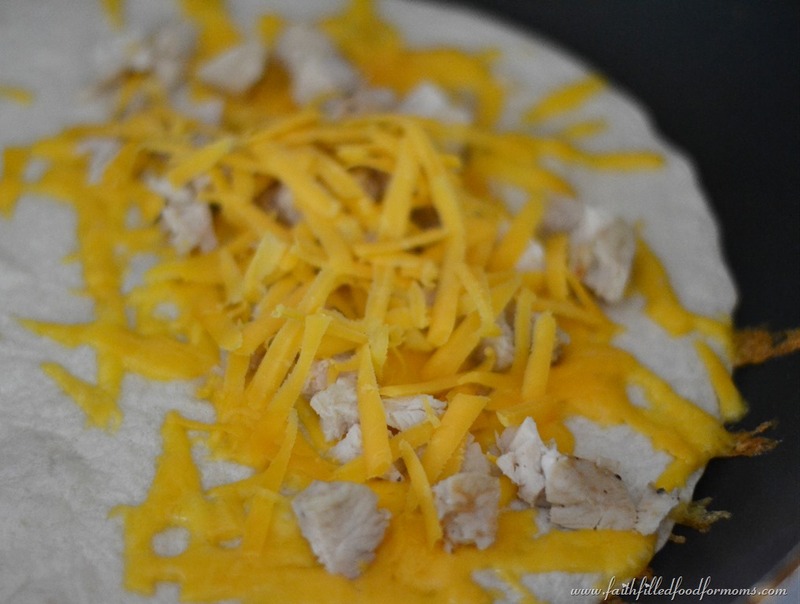 Grated Cheese, any kind you prefer…Mexi Blend, Monterey Jack, Cheddar, even Mozzarella works great! Heat a fry pan on med heat. 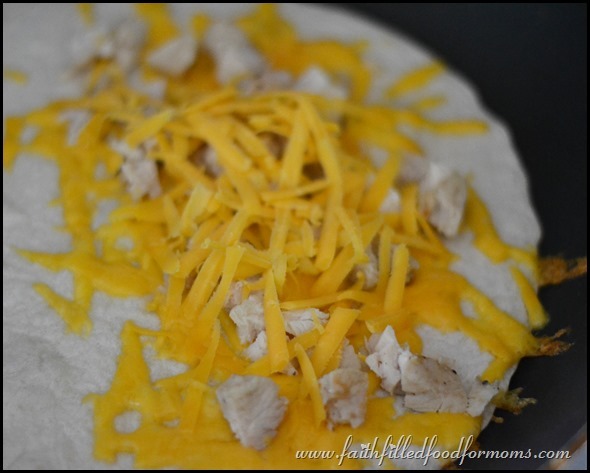 Place a tortilla in the bottom of the pan and add cheese and chicken and any optional ingredients on either half of the Tortilla or the whole Tortilla. It just depends on how big you want your Quesadilla. Now place a little more cheese on top of the chicken. 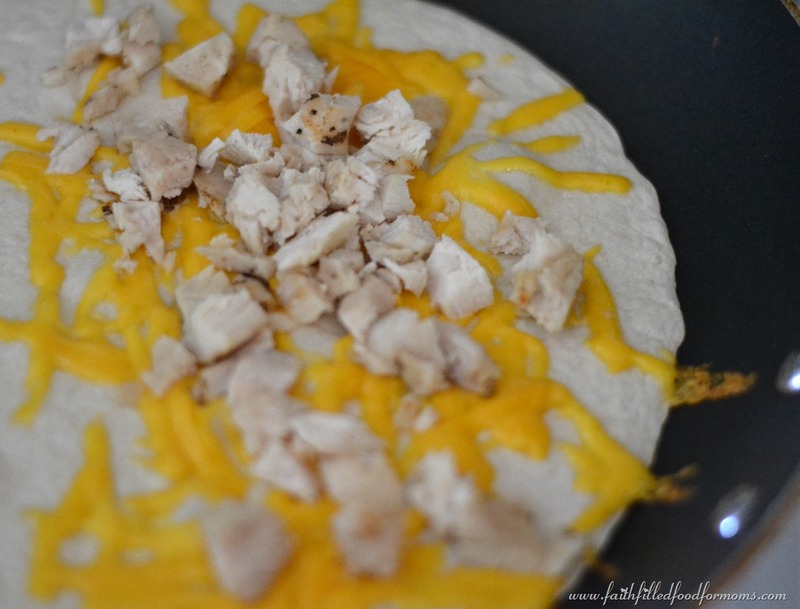 Now add another tortilla on top or just fold over the other half of the tortilla on top of the chicken/cheesy side. As soon as the cheese is melted on the bottom and the tortilla is browned to your liking…flip over and cook until cheese is melted and tortilla is as crisp and brown as you like it. 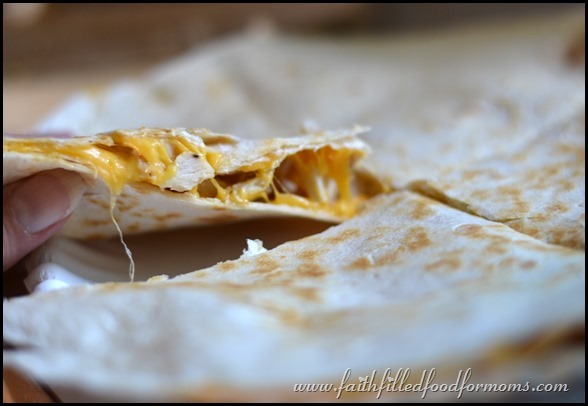 Caution: You do need to watch to make sure that you don’t burn your tortillas as the cheese melts…make sure your heat isn’t too high and just give a quick look now and then. 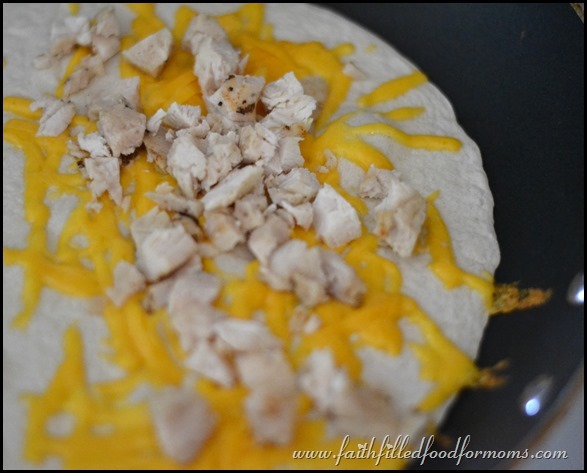 •Grated Cheese any kind you prefer…Mexi Blend, Monterey Jack, Cheddar, even Mozzarella works great! Great quick dinner, Shari! Thanks for sharing at Foodie Friends Friday!